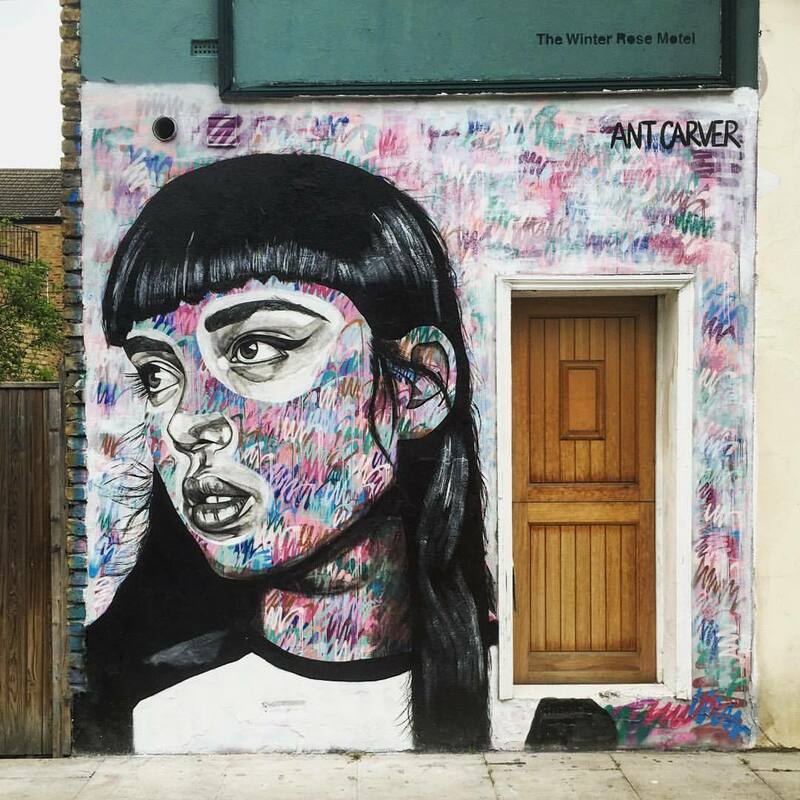 Art, Design & Cultural Trends in and around London. Grafity's Wall. Stories of Mumbai. 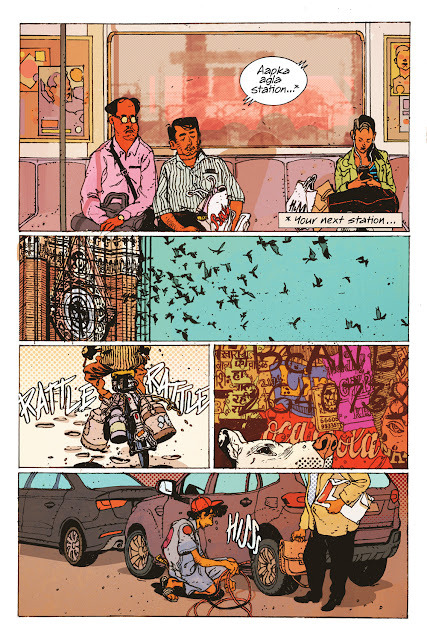 Ram Iyer, from Eye for London Prints, embarks on his second crowd funding project. 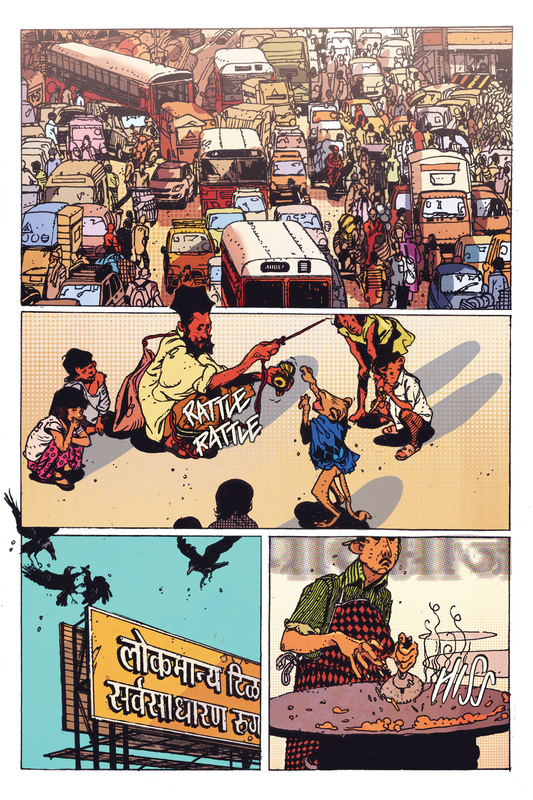 This is a graphic novel comprising of stories set in the grand metropolis of Mumbai. Looking at the first few pages, this is bound to be an absolute treat for design and art lovers. Here is a brief synopsis, of what the book is about. 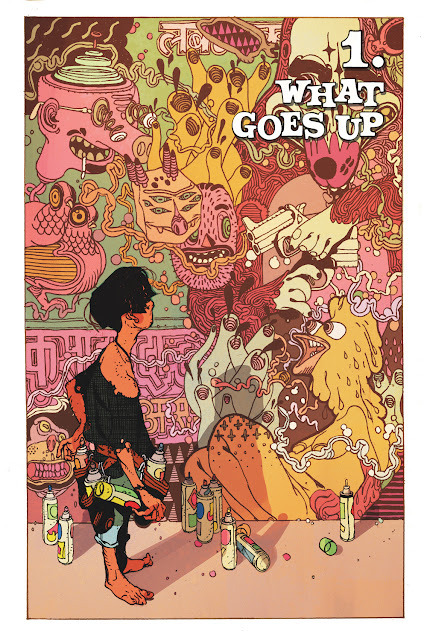 You can view the whole project and read about the creators on the Unbound website, and also pledge to make this book happen! When an aspiring street artist by the name of 'Grafity' watches the tenements outside his home being razed, he finds an unlikely canvas at the one wall still left standing in the debris. 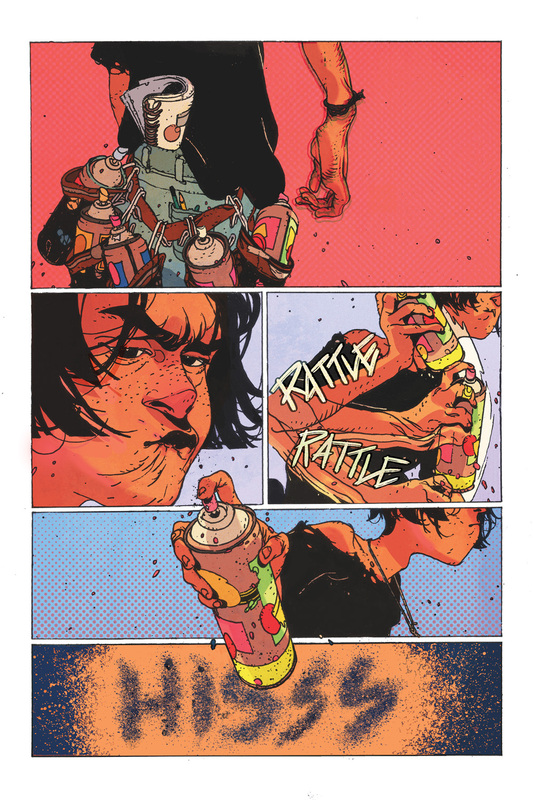 Over the next weeks, he begins creating a mural on the wall, one that chronicles the lives of his friends: A local low-level fixer named Jay who harbors dreams of being a rapper. A brilliant and awkward boy named Chasma who writes love letters in his breaks between waiting tables at a local 'Chinese' restaurant. And Saira, an aspiring actress with ambitions so fierce that they threaten to consume her and all those around her. As the mural progresses, the story gives us glimpses into these incandescent lives, their hopes and dreams both inspired and impeded by their circumstances, and the impossible city that they live in. I'm Mathanki. A legal alien living in London. 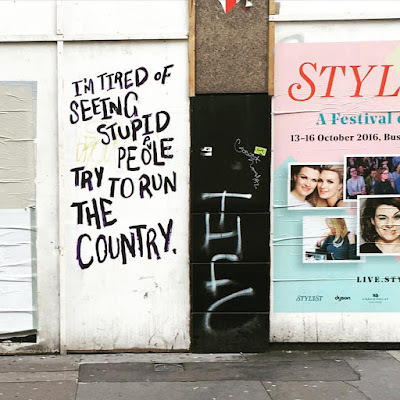 This is a journal about Art, Design, Cultural Trends and Immigrants doing creative things in a post Brexit London. Brixton Village. A Photo Blog.